Oral piercings are a popular form of body modification and self-expression. Unfortunately, they can also pose certain dental health hazards, including damage to teeth and other oral tissues. 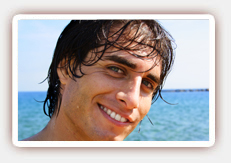 Dr. Afar, West Hollywood dentist, encourages his patients to research the risks before getting any oral piercings. According to the ADA, swelling and infection are common side effects of oral piercings. Thanks to its moist environment, the mouth often contains high level of bacteria. In some cases, the tongue or uvula can swell dramatically and may even interfere with breathing. If the jewelry breaks, it can become a choking hazard. In some cases, temporary or permanent nerve damage can occur due to incorrect placement of the piercing, and excessive drooling may become a problem. Some people with oral piercings may develop the habit of playing with their piercings, or they may inadvertently bite them. This can damage their teeth, wear down the enamel or injure their gums. It can also damage dental fillings. If you have oral piercings, contact our dentist if you have any signs of infection, including pain, fever, swelling or a streaked appearance around the piercing. Keep the site clean and debris-free by using a mouth rinse after meals and snacks. Avoid biting or clicking the jewelry, and maintain good dental hygiene habits by brushing and flossing regularly. Because oral piercings require lifelong maintenance, be aware of the risks and upkeep before piercing your tongue or other oral tissues. 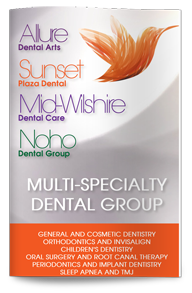 Contact Dr. Afar, West Hollywood periodontist, to learn more or to schedule a consultation.